'It is going to be tight,' says a former lab tech planning to open to open a Prince Albert, Sask., pot shop in time for October 17. 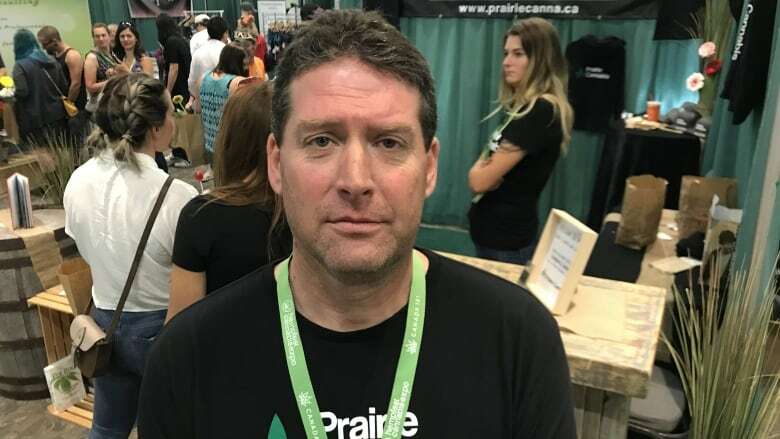 Jim Southam says he plans to have his legal retail cannabis store in Prince Albert, Sask., open in time for October 17, the date of Canadian pot legalization. How much pot will be available for sale is another question, he says. "It is going to be tight," said Southam, a former longtime Cameco lab technician-turned legal pot seller. 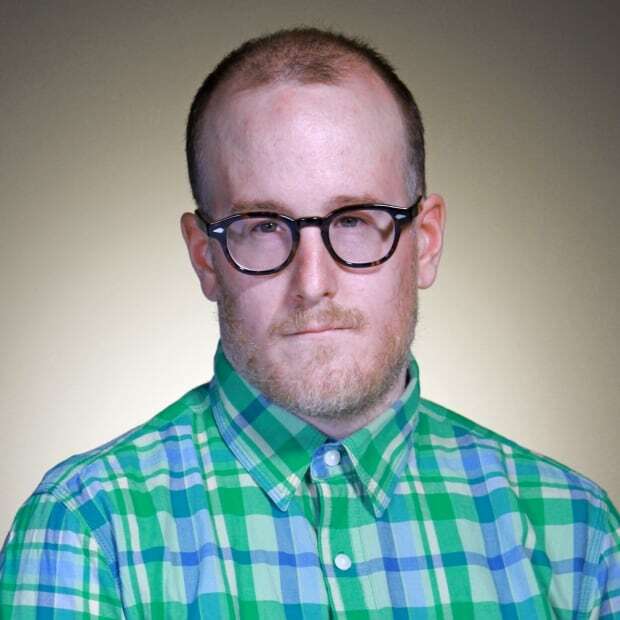 "I am a little concerned about the availability of product." 13 groups await green lights to setup legal weed supply chain in Sask. Southam's concern stems from a belief that the retail pot market stands to be much bigger than the small medical market currently serviced by licensed producers (LPs). "They're going from servicing approximately 250,000 medical patients to [many more] country wide for recreational use," he said. "I'm gonna do everything I can to ensure that there's product on my store shelves and at the best possible price I can acquire it at." A recent study by consulting firm Deloitte suggests Southam is not just blowing smoke. Deloitte estimates the total cannabis market in Canada, including medical, illegal, and legal recreational products, is expected to generate $7.2 billion in sales next year, with $4.3 billion of that coming from the legal recreational market. Medical cannabis is anticipated to generate up to $1.8 billion in sales, by comparison. 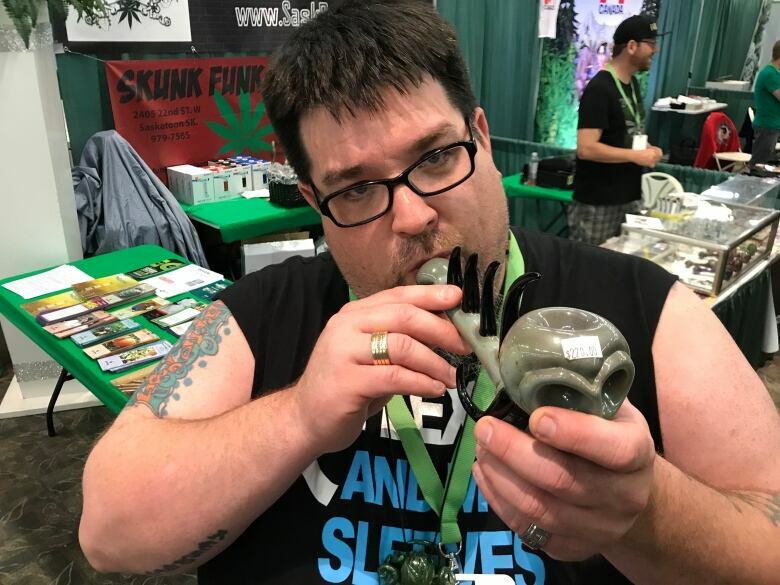 Jeffrey Lundstrom, a headshop owner who sells pipes, bongs and other pot paraphernalia at Skunk Funk Smoker's Emporium in Saskatoon, shares Southam's concern. But he worries it's medical patients who will lose out. "LPs are currently focused on medicinal because that's the only option they have," said Lundstrom. "As soon as that switches and they now have a recreational market they can run after, you're going to see a big switch. "They're going to stop focusing on growing medical cannabis and start focus more on growing recreational because they believe there's more money in it. And to some degree there is. "Somebody who's disabled, got stage 4 cancer, mostly likely isn't at their job and is at home dealing with their illness. They're not buying 10-dollar grams." 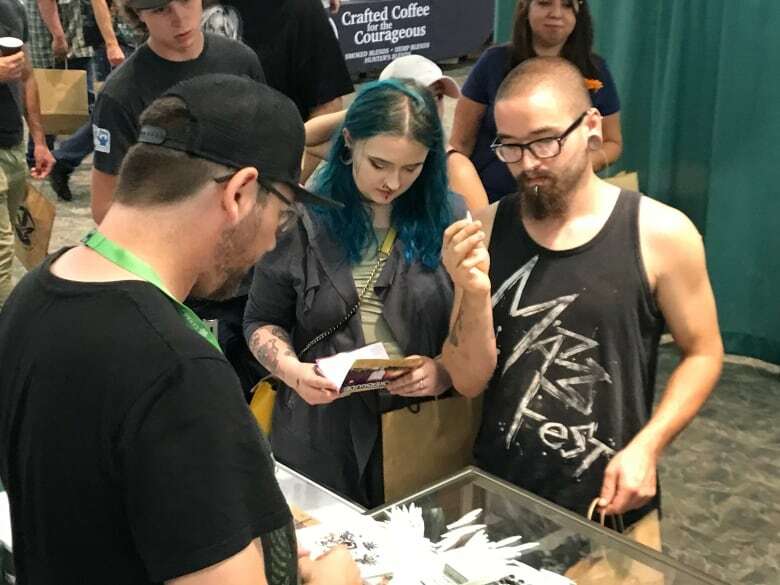 Both Southam and Lundstrom spoke from the floor of the 1st ever Hempfest Cannabis Expo in Saskatoon on Sunday. The show has previously toured in cities like Calgary. 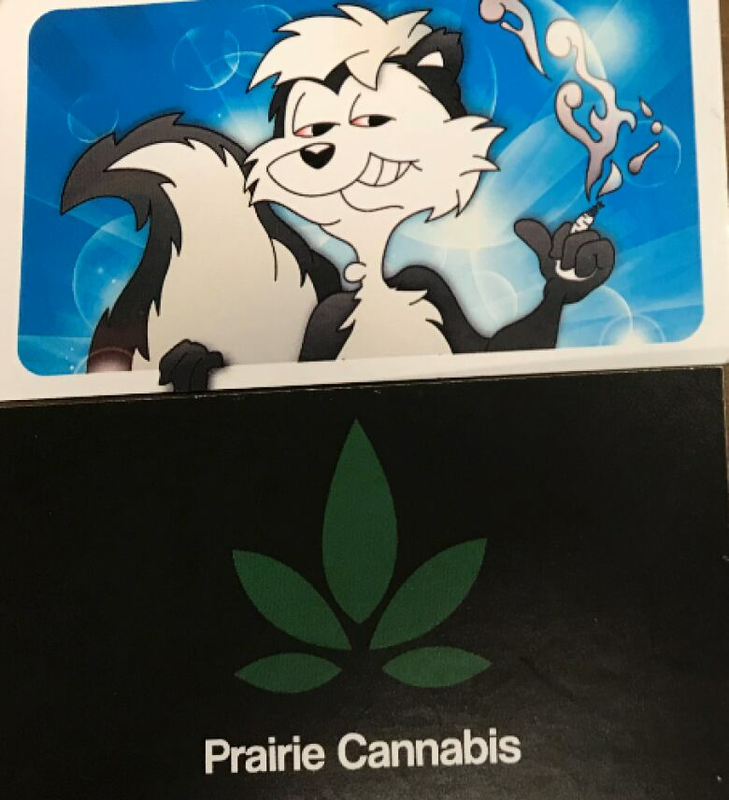 Southam was one of only a handful of the 51 Saskatchewan cannabis retail permit winners present at the show. The others were Clay Sparks, who won the chance to open up shop in La Loche, and the company Tweed, which won permits in five communities. None of the Saskatoon winners were exhibiting at the show. Southam applied for permits in 12 communities, winning only a shot at a store in Prince Albert. The Saskatchewan Liquor and Gaming Authority has selected runner-ups for each of the 51 permits, in case the lucky ones chosen don't actually make it through the permitting process. For now Southam is focused on navigating the rules for the future sale of pot in Prince Albert, including a 200-metre buffer between shops and schools. "It's definitely narrowed down where a person looks" for a store location, he said. "But that being said, there are a couple areas that will be specifically looked at by myself and the other retailer to put a store." Southam wouldn't say exactly where in Prince Albert, though — not even if it's downtown — which is not unlike all the Saskatoon pot retailers CBC News has posed the same question to. "I don't want to jinx it," he said.